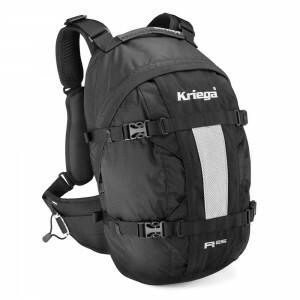 The R25 Backpack from Kriega is a general all purpose daypack with a 25 litre capacity and the innovative QUADLOC harness system which allows for total freedom of movement and no shoulder pull. The size adjustable harness also features a quick release system, just like a parachute, just click in and out. 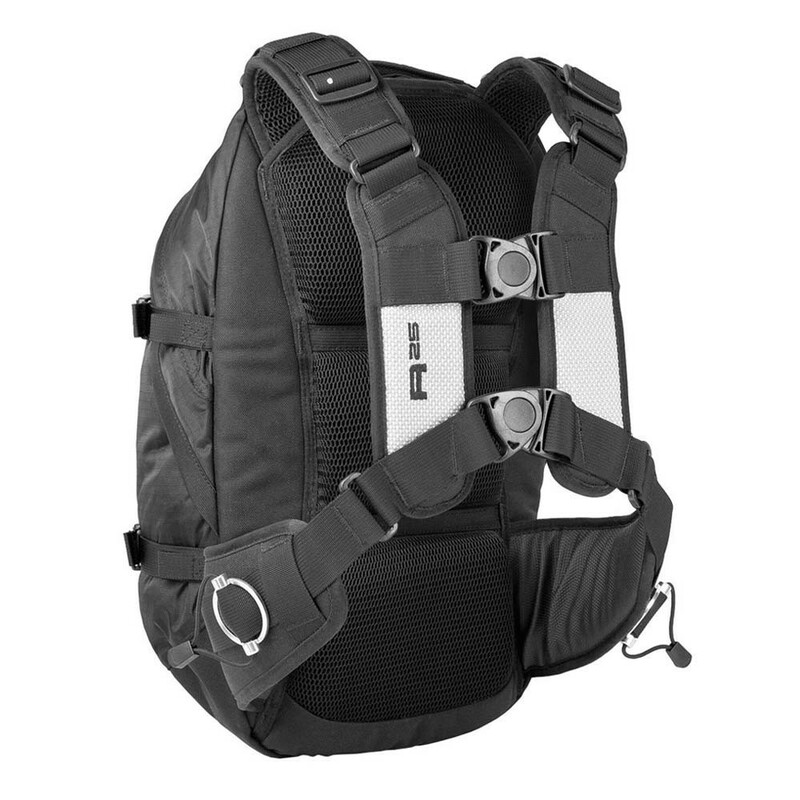 The R25 has a four point load compression, main compartment, expanding outer pocket, internal magazine sleeve and side access pocket. 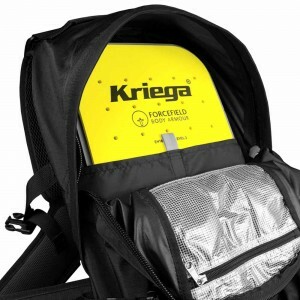 The R25 is equipped to accomodate the five and ten litre drypacks to increase capacity and it can also take a Kreiga back protector (available seperately) for added protection. 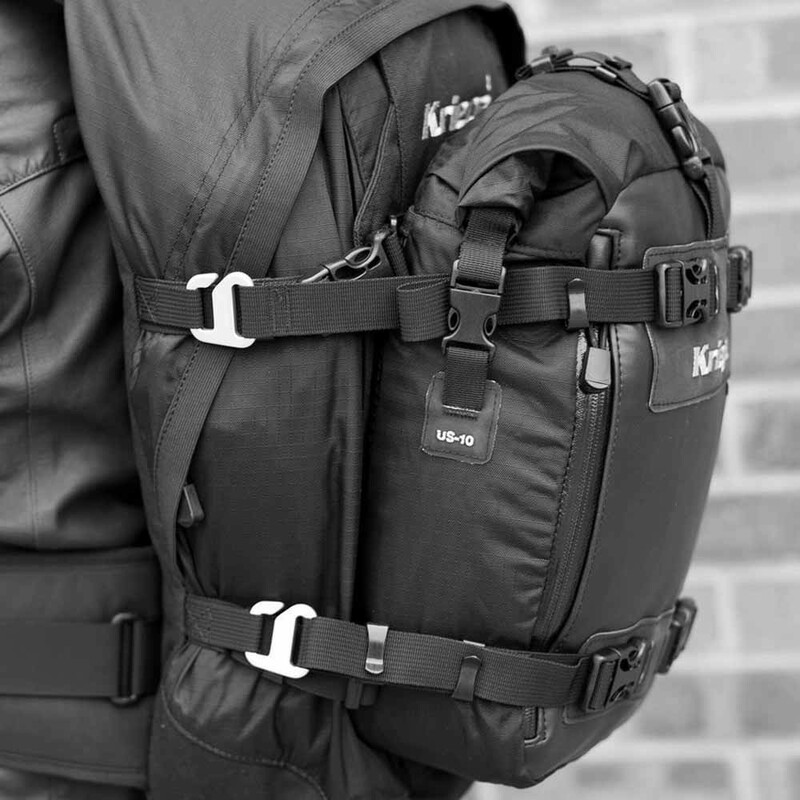 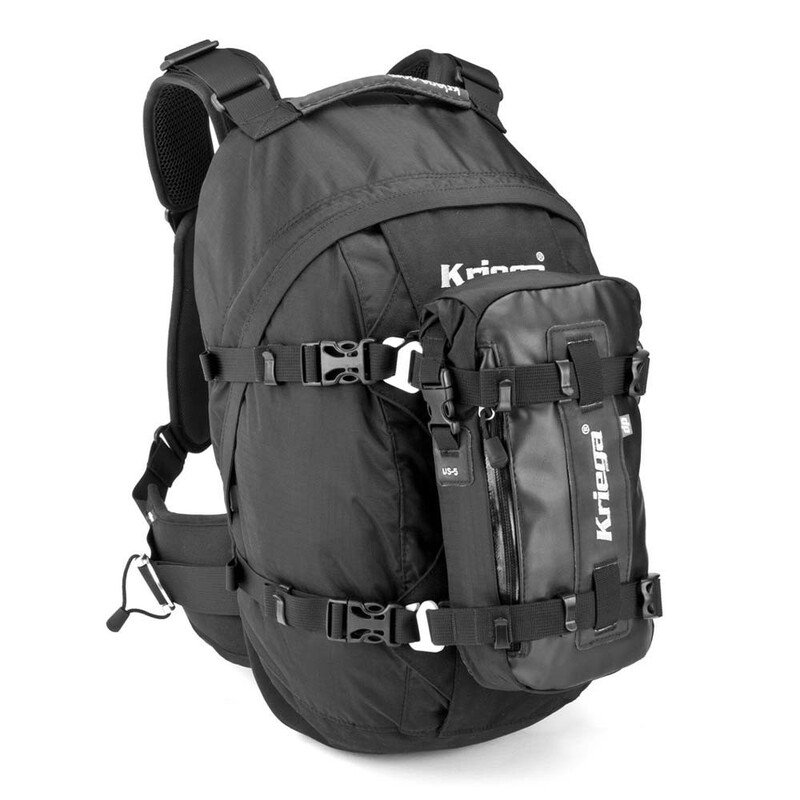 A great multi use daypack, perfect for short trips and the daily commute.